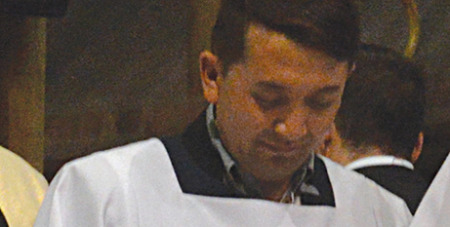 More than six months after being detained, the future of an Afghan parishioner from the Adelaide Cathedral parish remains uncertain. Source: The Southern Cross. Mohammed Mahdi Rafee, formerly a Shiite Muslim who converted to Christianity in 2017, has been in a Kilburn detention facility since December 13 last year following an unsuccessful request for a ministerial intervention into his application for a visa. Of Hazara origin, Mr Rafee told The Southern Cross in January that he fears he will be killed because of his religious beliefs if he is forced to return to Afghanistan. Christian organisation Open Doors ranks Afghanistan as the second worst country for Christian persecution on its World Watch list. Mr Rafee fled Afghanistan and came to Australia in 2012 after a series of intimidating incidents involving the Taliban which saw him abandon his university course in Kabul. Since his detention, many members of the Cathedral parish have written letters of support for Mr Rafee to their local MPS and the Immigration Minister Peter Dutton. Some have also visited him at the detention facility. Sarah Castree, who first met Mr Rafee in the Rite of Christian Initiation for Adults program at St Francis Xavier’s Cathedral, has been visiting him every fortnight. “Before Rafee was detained I was impressed that a recent immigrant wished to convert to Catholicism, but I did not know how dangerous it is to be a Christian convert in Afghanistan,” Ms Castree explained. “A cursory internet search demonstrates how dangerous it is. In 2006 an Afghan convert to Christianity, Abdul Rahman, was charged with apostasy, and threatened with execution. It was only through international pressure from the US, UK and Italy that he was eventually released and granted asylum in Italy. Ms Castree has written to Mr Dutton to request that Mr Rafee be invited to reapply for a visa. She urged anyone wanting to show their support to write to Mr Dutton and their local MP.